The People’s Voice & The People’s Declaration, a labour of love according to human rights lawyer Haris Ibrahim here, were officially launched at Blog House in Bukit Damansara today, 23 February 2008. About 100 guests graced the occasion. 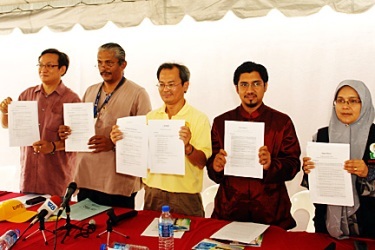 Six political parties – MDP, PAS, PKR, DAP, PSM and Pasok – endorsed the Declaration and promised to adopt it as part of their 2008 Election Manifestos. 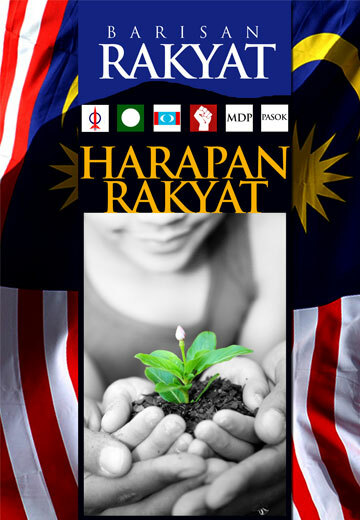 These parties together with all Malaysians who support the Declaration will from henceforth become the Barisan Rakyat. At the ceremony, the parties also agreed that there will not be any 3-corner fight during the election to split votes and will uphold a one-to-one contest strategy between Barisan Nasional and Barisan Rakyat. The People’s Declaration calls for national unity, genuine democracy, enhanced administrative transparency, strengthened economy and fulfilling the social contract. Its sister document called The People’s Voice, on the other hand, calls for race-based political governance of the country to be rejected and to have in its place a non race-based system of governance. It also urges for the original aims of the New Economic Policy to eradicate poverty regardless of race be immediately given effect and implemented. You can read more on The People’s Voice here and The People’s Declaration here.